I tend to skip the lipbalm. Instead of putting on lipbalm when my lips are dry I just drink more water and eat more hydrating fruits. Most lipbalm is made of petroleum, which is a burden on the immune system and obviously wouldn’t be helping me in the long run. 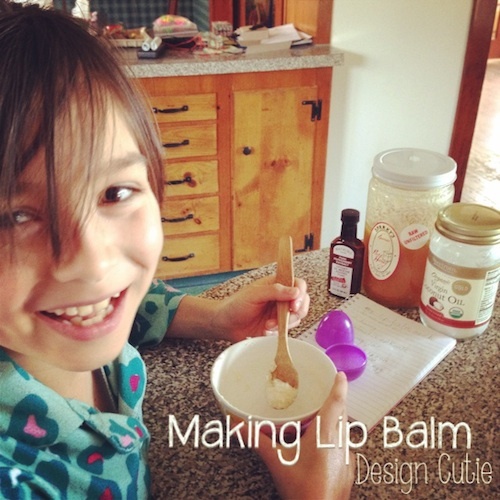 Until I tried my daughter’s super awesome lipbalm. Mix them all up and store in a little plastic container. She made one by recycling a used HDPE juice bottle. Another time she upcycled plastic Easter eggs. My kid is amazing! If the weather is warm, keep your lipbalm refrigerated when you’re not using it to prevent the coconut oil from liquifying. I love my daughter’s lipbalm. I use it all the time. 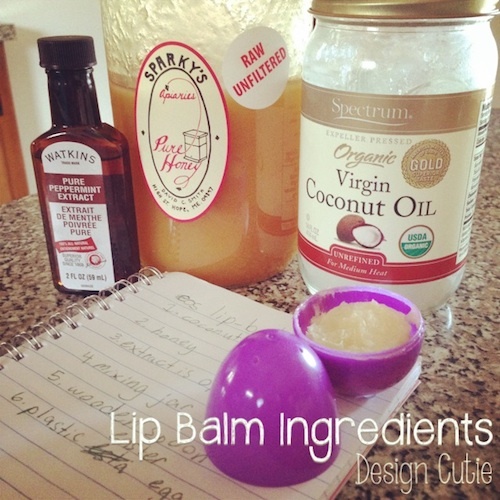 My lips stay soft and moist from the healing powers of coconut oil and raw honey.